Suzanne M. Lang visits with two Sonoma County writers who bring us their stories of moving beyond adversity. 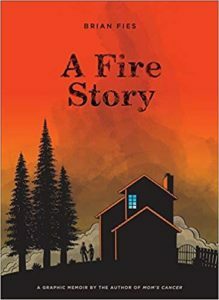 Journalist, blogger, and graphic artist Brian Fies brings us his graphic memoir A Fire Story. Brian has been drawing comics for just about his whole life and has two other graphic books before this depiction of his experience losing his home in the Northbay Fires of 2017. Rising above a different loss, Suzanne also talks with R.L. 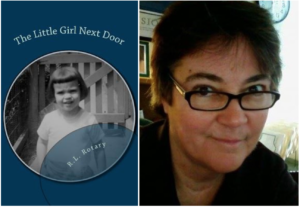 Rotary, a survivor of childhood violence and sexual abuse, who has emerged with grace and wit and tells the story in her memoir, The Little Girl Next Door. It’s A Novel Idea, Sunday, April 7th at 4 pm. A Novel Idea airs on the first and fifth Sundays of every month at 4:00 pm on KRCB-FM Radio 91 / streaming @ norcalpublicmedia.org / Download the FREE KRCB mobile app @ iTunes & Google Play! Author and independent historian Michael Morey’s book, Fagen: An African American Renegade in the Philippine-American War, unpacks American imperialism abroad, American racism at home, and the intersection that holds David Fagen, an African-American Buffalo Soldier who joined the other side and fought with the Filipino guerrilla soldiers against their common enemy: the white American oppressors. It’s a fascinating story that ripples into our current moment. Michael Morey joins Suzanne M. Lang in conversation on A Novel Idea. Barbara L. Baer, publisher of Floreant Press and author of two previous novels joins Suzanne M. Lang in conversation on her latest book set in the south of India, The Last Devadasi, where passionate and forbidden love clashes with tradition and caste. Later in the show Suzanne visits with Hilary Moore and members of the Off the Page Readers Theater who will preview pieces from their winter show, What Goes Around. Love, Hate, & Other Filters is Samira Ahmed’s novel of a young Muslim American woman finding her way through contemporary cultural challenges. Samira is in conversation with Suzanne M. Lang on KRCB’s A Novel Idea. Suzanne also talks with founder and editor of Audiofile Magazine, Robin Whitten. Oil makes the world go round and geologist Thomas E. Cochrane delivers candid and lively remembrances of his life and experience in the American petroleum industry in Tornadoes, Rattlesnakes & Oil, a Wildcatter’s Memories of Hunting for “Black Gold”. Cochrane is a natural born storyteller. Join Suzanne M. Lang in conversation with Thomas E. Cochrane on A Novel Idea. This moment in history, in culture, in our election cycle demands truth and craves heroes. We cover both with Suzanne Lang on KRCB’s A Novel Idea. #Me Too has been building since women thought they’d made some strides in the 60’s, 70’s, 80’s , 90’s, and ….whoops! Barbara van Driel, former FBI agent —serving during the initial wave of gender integration, tells a fun, disturbing, and altogether eye-opening view of the FBI during that time that resonates into our current moment in It Never Happened: FBI Negligence and Duplicity Revealed from the Inside Out. Oh, we need some heroes. They CAN be elected. Andrew Shaffer brings Joe Biden and Barack Obama back to us. They continue to serve, but this time as crime solvers and good buddies in Shaffer’s Hope Never Dies (an Obama Biden Mystery). Join Suzanne M. Lang in conversation with former FBI Agent Barbara van Driel and NY Times best selling author Andrew Shaffer on KRCB’s A Novel Idea. Seaweed. It plays a vital role in ocean ecology, and also in our health and diet, and in our local and global economies. Seaweed Chronicles: A World at the Water’s Edge is Susan Hand Shetterly’s book of stories about seaweed, and the people and creatures who depend upon it. Shetterly joins Suzanne M. Lang in conversation with KRCB’s A Novel Idea. Gregory Crouch joins Suzanne M. Lang in conversation on his epic western history of California wealth and the Comstock Lode, bringing focus to one of the wealthiest men in the world ….who we never heard of…John Mackay. The book is The Bonanza King: John Mackay and the Battle Over the Greatest Riches in the American West. A Novel Idea, Proudly powered by WordPress.